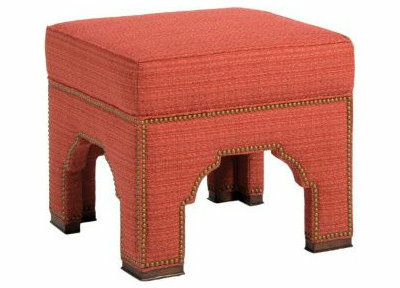 Quirky, cute and walking the line somewhere between traditional and modern, this ottoman by Pearson would be a welcome addition to my living room. 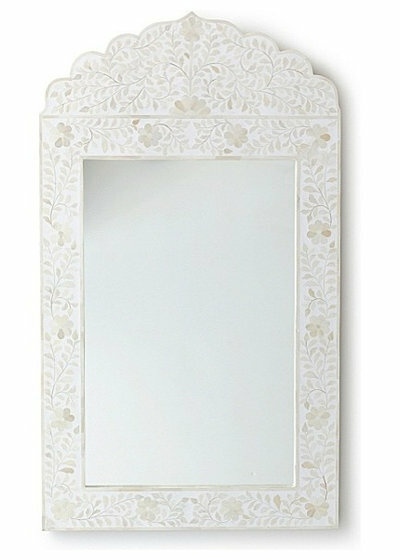 This inlay mirror is ornate but totally neutral, a hard combination to achieve. 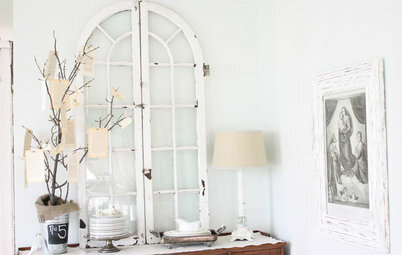 How perfect would it be hanging in an entryway? 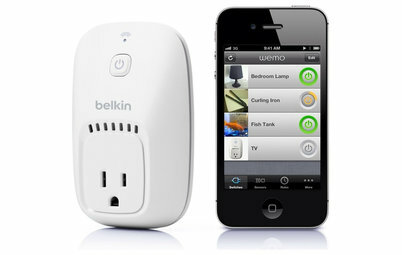 It will give guests a chance to primp before their visit. 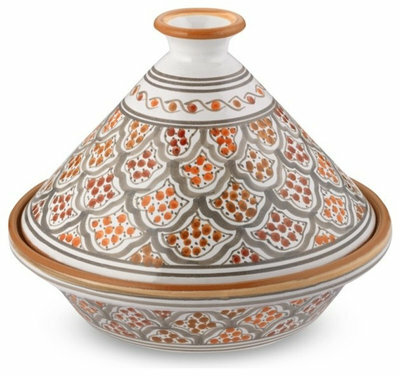 Picture perfect and utilitarian, this Tunisian hand-painted tagine from Williams-Sonoma is too pretty to lock in a cabinet. Display it on some open shelving. These tumblers would be so fun with wine. 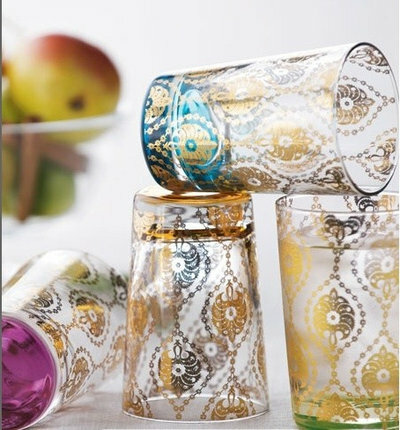 Don't relegate the vino to stemware; it is perfectly at home in ornate glasses like these. 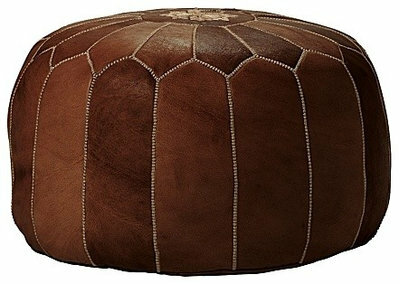 Poufs are definitely having a moment. 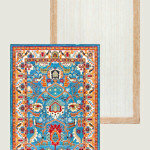 This leather version from Serena & Lily is handmade in Morocco and well worth the investment. The deep tangerine Mekissa sofa is ornamented with patterned fabric and finished with wooden silver and carved Moorish artwork. 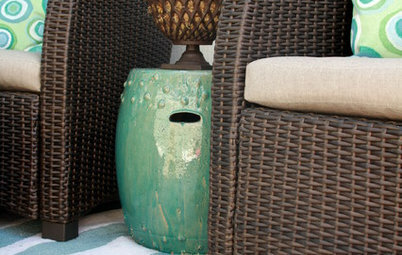 It's a luxe patio topper for warm summer nights around the fire pit. 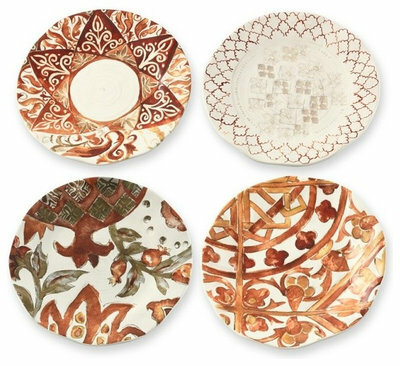 I love these richly textured Moroccan tile salad plates. 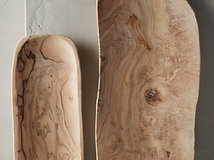 They would be gorgeous for wine and cheese. I have a similar version that I endlessly use when entertaining. 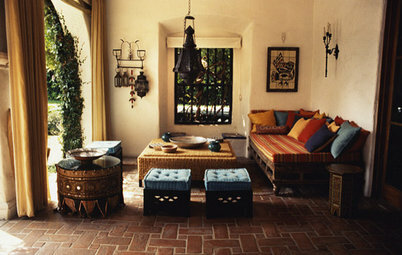 Minimalist Moroccan does exist! This neutral space is cranked up a notch with colorful accents and an inspired napping window. I picked up a brass version of a tray table at Brimfield last year. 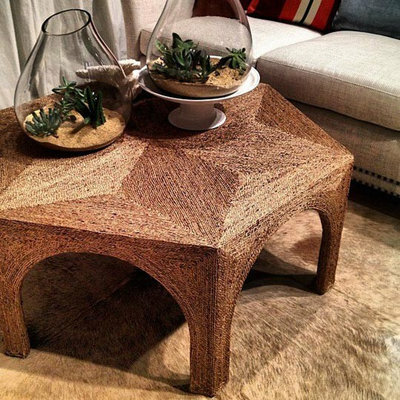 Forget the hunting, Pottery Barn has done the work for you with their Moroccan tray table. 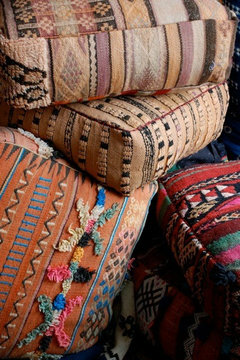 Boring, this sofa is not! 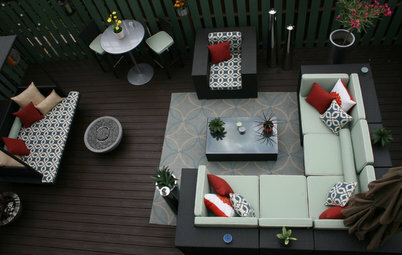 It is full of pizzazz and style. 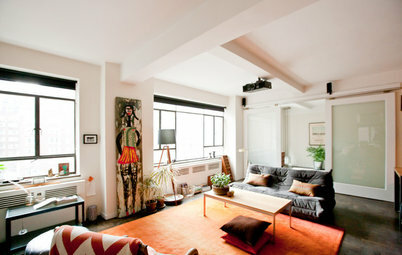 I would love a colorful accent like this in my den. 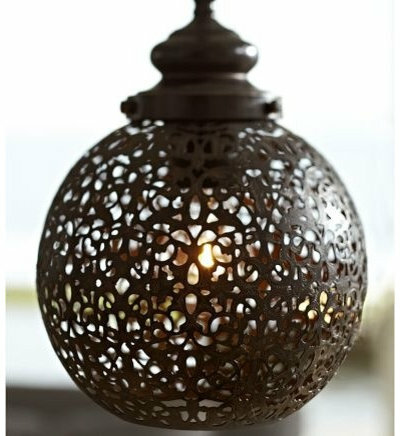 Moroccan lighting is a great way to inject some exotic style into your space. 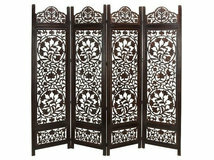 I would personally string a few of these up in a reading nook to create a cozy corner. 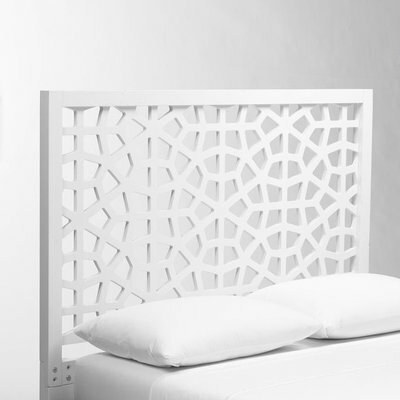 Inspired by geometric Moroccan patterns, this headboard from West Elm creates a neutral and attention-grabbing look. 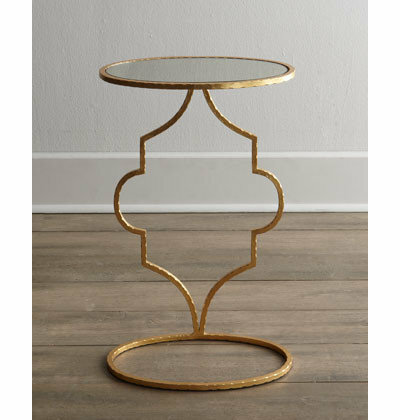 Horchow's Floating Arabesque side table is unobtrusive, hovering alongside your sofa or bedside. 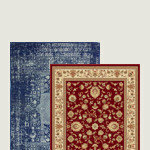 It's ideal for any space. 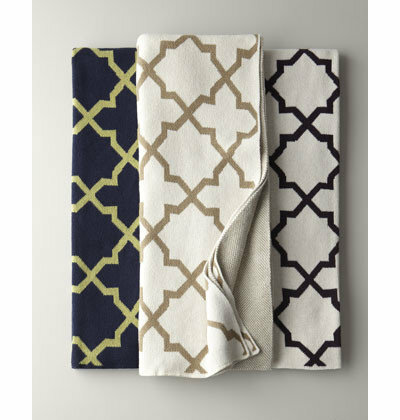 Totally noncommittal and fun, these colorful throws have a great print and are an effortless way to test drive the trend. 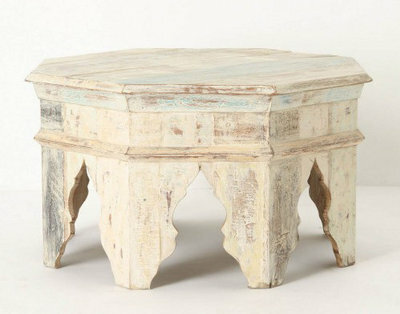 I could build a whole living room around this Kasbah coffee table from Anthropologie. 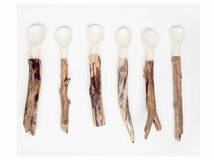 Whitewashed and rustic, it looks like it was hand-plucked from a street bazaar. 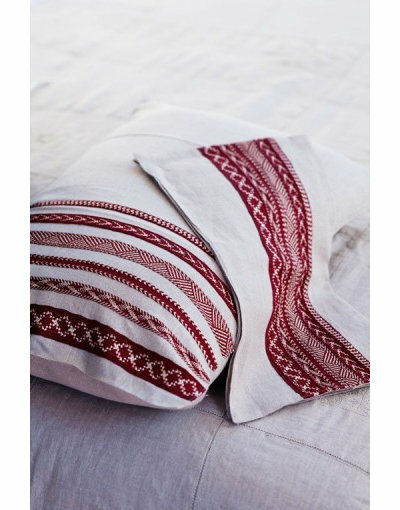 These embroidered pillows are crafted by Mushmina, a company that employs over 75 fair-trade artisans in Northern Africa. 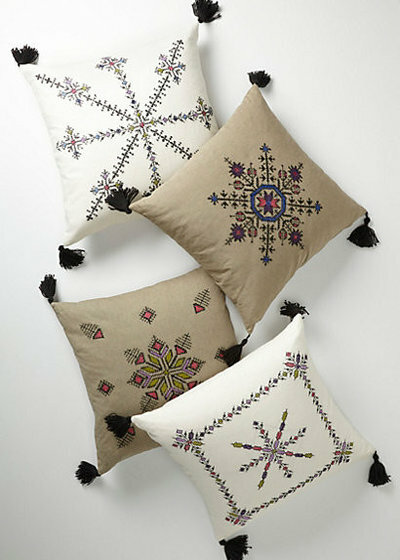 Inspired by Moroccan motifs, these pillows are begging to be tossed on my couch. This is a swoon-worthy statement piece. 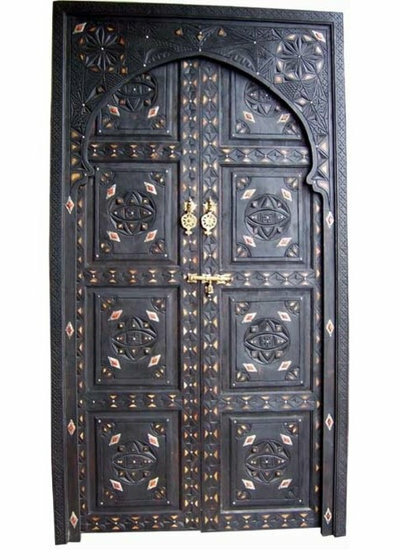 Handmade cedar-inlaid doors straight from Marrakech would make for a dramatic entry into any room, or they could be dividers if mounted on sliders, or even artwork if mounted on the wall. 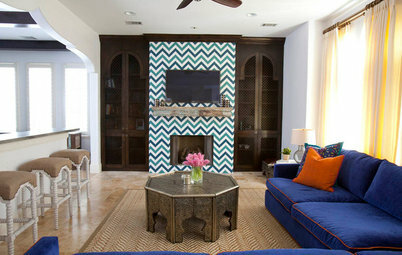 I debated using a bold print tile like this in my kitchen. 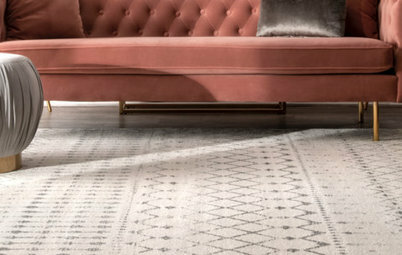 It's such a crazy dose of pattern to have underfoot. Ultimately, I decided the tiles would be too much, but they would have made for a marvelous backsplash in retrospect. 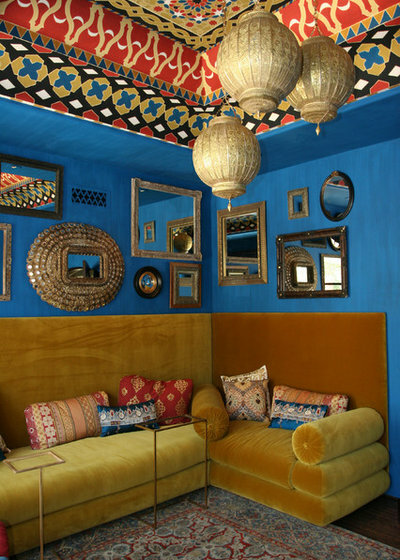 Moroccan details abound from floor to ceiling in this luxe lounge. The deep blue hue of the wall is unexpected but nicely balances the gilt finishes and ornate paint. 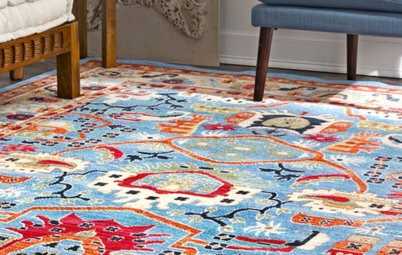 This carpet, called a boucharouette or rag rug, was inspired by an ancient Moroccan technique. 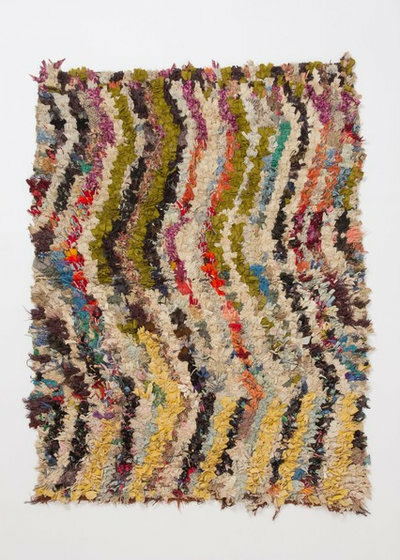 It makes use of recycled fabric bits that are hand-woven into a one-of-a-kind piece that's perfect for your home. 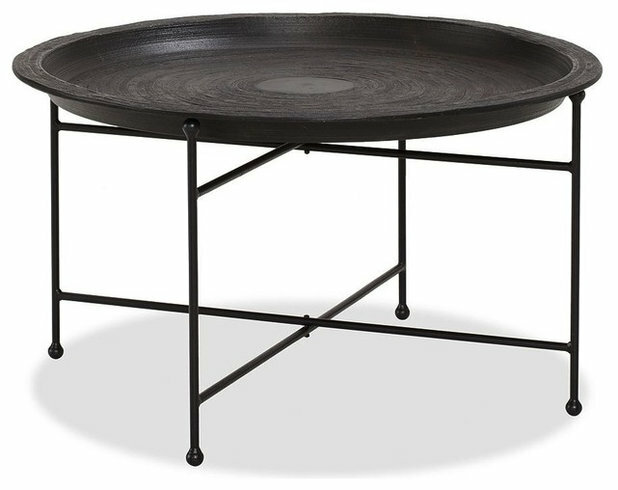 How cool is this table? It is organic and wrapped entirely in hyacinth. 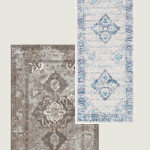 The pattern and arched legs are a very modern take on Moroccan motifs. 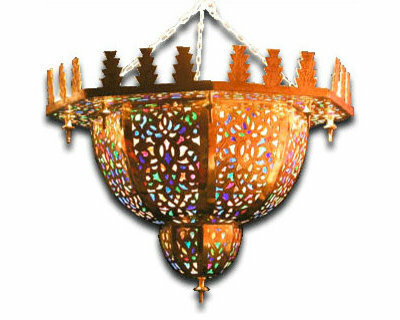 The Menzah chandelier is a rainbow of color and etched cast brass. 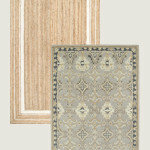 The crown-like shape makes for a regal statement that will go with any color scheme. 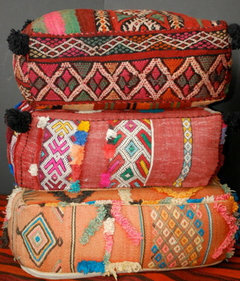 Made by La Maison Bahira in Marrakech, these embroidered pillow covers are entirely stitched by hand. 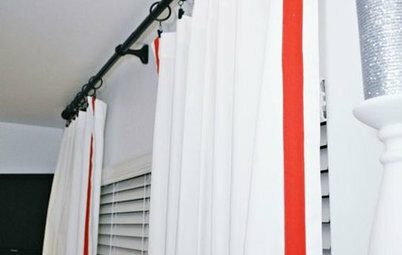 This coral red would be perfect on my bed — I may need to pick these up for myself! 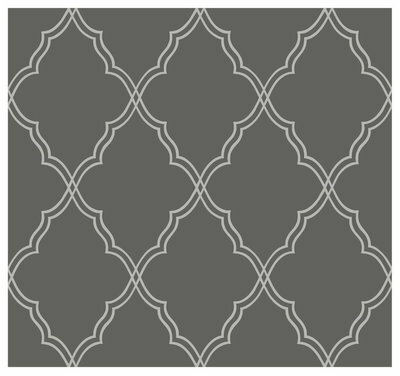 The cool gray base of this Moroccan lattice wallpaper would work well in a washroom. 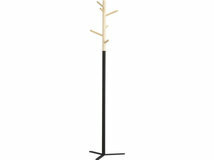 I did a similar color scheme in my downstairs powder room, and it plays very well with white, black and silver finishes. 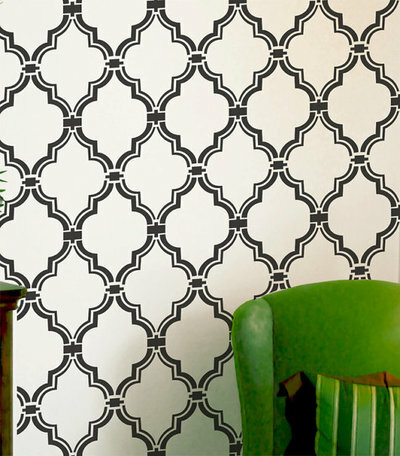 Or you can create the exact same look with a Moroccan wall stencil. And you can choose your own colors — the ultimate in custom wall decor. 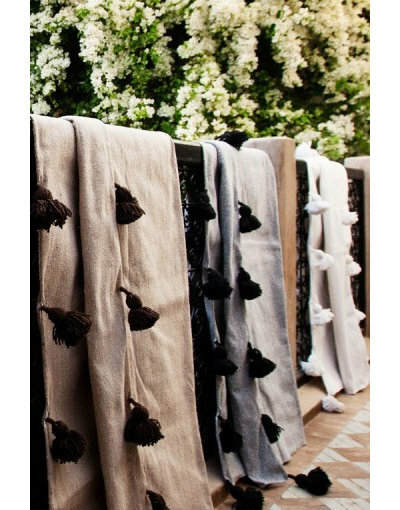 These pom-pom wool blankets were created by Chez les Freres Kassri, a generational family-owned business. 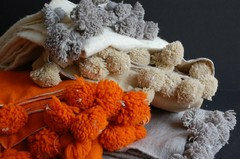 I would love to use one of these as a bedspread, and then fold it down in the day to gather the pom-poms. I also have some new blankets and poufs!